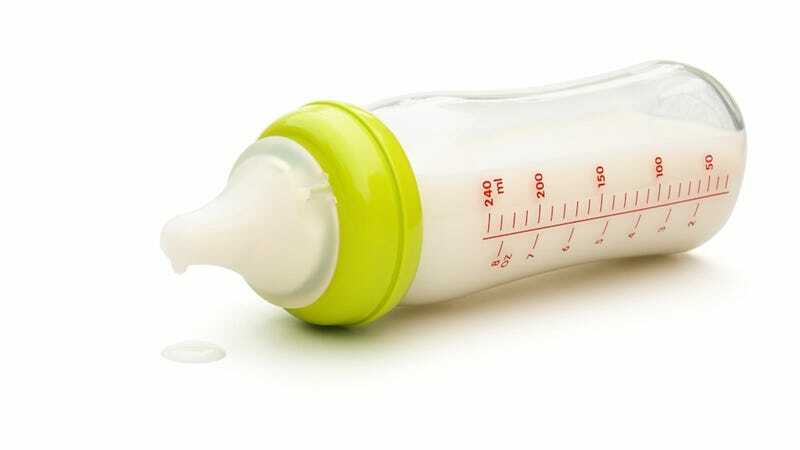 An unnamed mother in Kenosha, Wisconsin wasn’t aware that a water bottle she used to mix her baby’s formula had been emptied out and filled with vodka by Brian Smith, the baby’s father. The mother said she and Smith were in their apartment when he asked if the baby had been fed. She said she had used the water bottle she always uses in the kitchen. Jones then became upset and started yelling and said he had dumped out the water and had filled the bottle with vodka, intending to take it with him. The complaint said he continued to yell at her, threw a bottle at her, pushed her and grabbed her by the neck so hard she was unable to speak. The one-month-old baby had consumed about two ounces of vodka and registered a blood alcohol level of 0.294. Authorities believe it was an accident and the mother will most likely not be charged. Smith, however, is facing charges of strangulation and battery, disorderly conduct and resisting an officer.